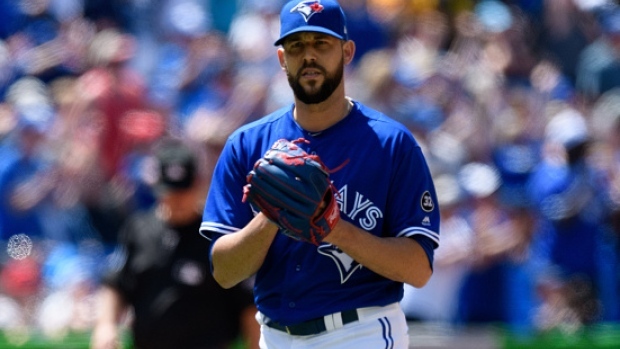 The Toronto Blue Jays received some good news on the injury front Sunday, with manager Charlie Montoyo telling reporters reliever Ryan Tepera was told by a doctor he will not need surgery on his elbow and can resume throwing Tuesday. Some good news for #BlueJays: Ryan Tepera does not need surgery. Saw a doctor yesterday for the inflammation in his elbow. He will resume throwing on Tuesday. Tepera was diagnosed with elbow inflammation last week saw Dr. David Altchek on Saturday. The 31-year-old has pitched seven innings this spring with a 7.71 earned run average and six strikeouts. Tepera has spent the past four seasons with the Blue Jays and finished last year with a 3.62 ERA and 68 strikeouts in 64.2 innings. In other Jays roster news, the team has optioned first baseman Rowdy Tellez to their minor league camp. Tellez will open the season with the Triple A Buffalo Bisons. As expected #BlueJays option Rowdy Tellez to minor league camp. Tellez was batting .280/.308/.600 with five home runs and 11 RBIs in 52 plate appearances this spring. The 24-year-old had a strong September with the Blue Jays last year in his first dose of Major League action. Tellez hit .314/.329/.614 with four home runs and 14 RBIs in 73 plate appearances. Meanwhile, right-hander Jordan Romano is back with the Blue Jays after he was informed by the Texas Rangers he would not make their team. He was selected by the Rangers in the Rule 5 Draft in December. Picked in the Rule 5 draft in December by the Texas Rangers, right-hander Jordan Romano has been returned to the #BlueJays after posting a 3.86 ERA in 9.1 innings this spring. Romano allowed 7 hits, walked 5, and struck out 6. He posted a 3.86 earned run average in 9.1 innings this spring, allowing seven hits and striking out six.